HYDERABAD: Puttaparthi will get a new makeover as the State Government is gearing up to take up works worth about Rs 5 crore before commencement of the 85th birthday celebrations of Sri Sathya Sai Baba on November 23. Chief Minister K Rosaiah today directed various departments to speed up works pertaining to roads, drainages, drinking water supply and other beautification works at the earliest in coordination with the Puttaparthi Urban Development Authority. The works to be taken up include repair and maintenance of roads worth Rs 3 crore by the Roads and Buildings Department, completion of Rs 1.64 crore worth road works by the Panchayat Raj Department and completion of the drinking water supply scheme at a cost of Rs 75 lakh by the Rural Water Supply Department. The Tourism Department will take up beautification of bunds around the Chitravati river and other works. All these works will be completed before the 85th birthday celebration of Sri Satya Sai Baba on November 23, keeping in view of large number of devotees including foreigners visiting Puttaparthi on the occasion. Tourism and Information Minister J Geetha Reddy, Roads and Buildings Minister Galla Aruna, Municipal Administration and Urban Development Minister Anam R a m n a r ay a n Re d d y, Panchayat Raj Minister Botsa Satyanarayana and other officials were present. Imphal, November 19 2009: Women’s day was observed today in rememberance of the mother of Bhagvan Sathya Sai Baba, Easwarammam, at Shri Sathya Sai Mandir located at Mantripukhri under the aegis of Mahila Vibhag Shri Satya Sai Organisation, Manipur today. The occasion was graced by ex-chairperson of Social Welfare Advisory Board, Manipur, S Satyabhama as the chief guest. Speaking on the occasion, Dr G Ibemhal, State Mahila Spiritual Coordinator, underlined that the day has been celebrated to boost the moral value of the women since 1995 . S Satyabhama said more lawlessness has prevailed in the state due to negligence in worshipping gods. She said, the land will become more peaceful when the people devoted more on their respective beliefs. The chief guest has also inaugurated a textile fair on the occasion. Various songs were also presented by artistes today at the celebration programme. Mr. K.Raja Rao (48), a Sai devotee for over a decade, narrates his experiences of the Divinity of Bhagavan in his own words. ‘My ancestors were Telugu people who migrated to Culcutta from Barampuram. I was brought up in spiritual environment. Though I was hearing about Sri Sathya Sai Baba, many of the things I heard were not of complimentary nature. So I used to ignore them. After my marriage, I shifted to Visakhapatnam. There were thefts in my shop twice. So I had to move to other places such as Jadupally, Kasibugga and finally to Palasa. When we were at Jadupally, our gold jewellery was stolen. Though it was recovered, it did not come to our hand as the case was pending in a court. When I was residing at Visakhapatnam, I took bath one morning and was kindling agarbatti in my Pooja room, according to my usual practice. Then our son Sudhir Babu who was three years old brought a Photograph of Sri Sathya Sai Baba. It was pasted on a cardboard. There was a Ganesh idol by the side of which Swami was standing in Abhayahasta posture. Around Him were Navagrahas. Our son brought it and showed it to his mother who told him to give it to me so that I can place it in Pooja. We do not know how he got it. We placed it in Pooja. That is how Swami entered our house for the first time in the form of a Photograph in 1988. One day I had to go to Patapatnam from Palasa to attend the court for recovery of our gold. As I was going round the Court for over three years, I was vexed. ‘Swami!’ I prayed before leaving for Patapatnam, before the Photograph of Swami, which my son gave me, ‘I will believe in you and worship you all my life if my Court affair is settled today’. When I reached the Court I found it locked. I was told that, that day being a second Saturday, was a holiday. I was very much disappointed and tired. I tried to rest on a bench I found there when an Attender came and said, ‘please make way. The Magistrate is coming!’ I was soon called in. He asked me, why I was there. I explained. He was sorry that I was going round the Court for over three years. ‘Is the box of valuables with us or have they sent it to the Treasury?’ he asked the Attender. When he was told that it was still with the Court, he arranged to deliver the gold to me against my receipt. My work in the Court was over and I returned home happily. Why did the Magistrate come to the Court on a holiday? How did his office keep the box of valuables without sending it to the Treasury knowing about the advent of two holidays? How did the Magistrate return my jewellery without hearing arguments and completing formalities? All these are unusual. Only Swami could make them possible. 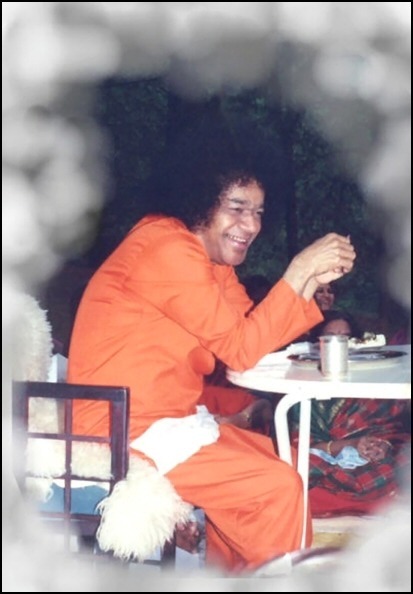 When we were at Palasa, I came under the influence of another person who was also a tailor, and a Sai devotee. On his advice, I used to attend Bhajans and was even organizing them in my house occasionally. While I was at Palasa, I came to Puttaparthi for seva in connection with the 70th Birthday Celebrations of Swami. I wrote a letter then to Swami in which I said, ‘Swami! I want to be at Puttaparthi, breathe my last here and merge in you. Kindly grant this prayer’. I sat in Darshan line for five days but Swami did not take the letter. 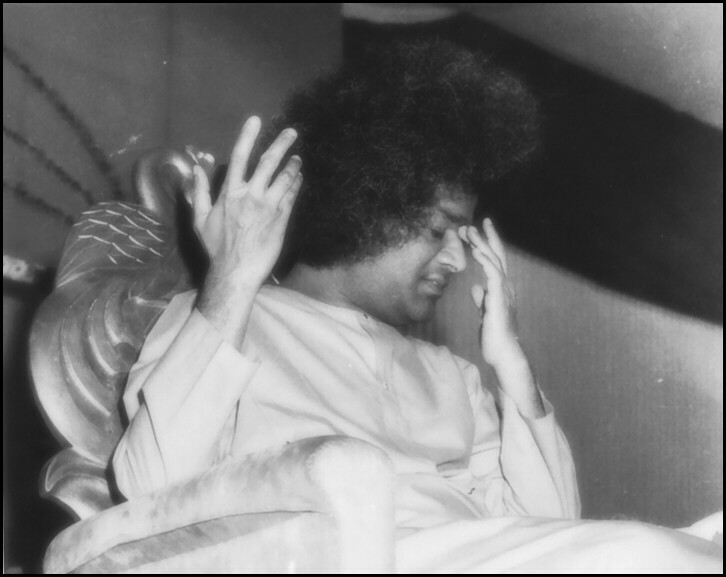 I decided ‘if Swami does not take the letter from me the next day, I shall see that I and members of my family end our lives here at Puttaparthi itself’. Next day I sat in Darshan line. The crowd was very heavy even though the Birthday of Swami was still two days away. We were far away from Mandir. Then Sai Kulwant Hall was not there. I sat there and started to intensely do Sai Gayatri closing my eyes. The music started signifying that Swami entered Darshan lines and began giving Darshan. I did not open my eyes. Suddenly my son tapped me on my shoulder and said, ‘Swami took your letter’. Swami came into the lines, came up to the lion’s idol, took a turn and came nearer the place where we were sitting. He signalled for the letter looking at us. My son took the letter from my hand, ran to Swami across the crowd and gave it to Swami. In 1996, my son was ill. On examination, it was found that he had three holes in his heart. Medication prescribed was very expensive costing Rs.400 to 500 a day to be taken for six months. Even then, it was doubtful. After six months, cardiac surgery might be necessary. We came to Puttaparthi. I waited in Darshan lines for five days with letter. On the sixth day, Swami took the letter from me. We then went to the Hospital; they gave medicines free for two months. After two months they examined my son again. There were no holes and the boy was miraculously cured. When we came to Puttaparthi for my son’s treatment with family, initially we were in the sheds. Later, I rented private accommodation outside and shifted. We put a bowl of milk (not boiled) before the Photograph of Swami. When we enter a new house, it is customary to boil milk till it runs over the container in which it is boiled. But we did not put the milk bowl on a stove. Still, the milk ran over the container on its own as if it were being boiled on a stove. Later, on June 8, 2000, sandal paste and vibhuti came from Swami’s Photograph in our house. Cold milk boiling and running over the brim of the bowl happened in my house again twice. When I took a new shop for my tailoring work, that is, the shop in which I run my business now, cold milk ran over the brim of the bowl again on March 25, 2004.